Need help with other parts of your IoT company functions? Infolink offers business growth solutions for other areas such as research, marketing operations, sales qualification, product demos, AI/ML human intelligence tasks and back-end operations. Let our people handle these critical operations for you. They’ll become intimately familiar with your organization and product, boosting the effectiveness of your interactions with prospective customers. Our marketing related business growth solutions will enable you to outsource repetitive tasks. We’ll research your prospects, build databases, and automate email marketing campaigns. Although we’re not cold-callers, we’ll qualify the warm leads you generate from your inbound or outbound marketing efforts. We’ll do product demos for your hot prospects, freeing up your resources and increasing your sales reach. As IoT and technology companies move beyond the product design and engineering phase, and beyond product launch, they need to focus on scaling marketing, sales and operations. All three of these have to happen in order for a company to grow successfully. On the customer-facing side of operations, for both B2C and B2B, you will need to field more incoming order inquiries, fulfillment issues, support issues, get more devices setup, etc. We’ve got that taken care of for you with our Customer Experience Journey solutions. However, scaling marketing, sales and back-office activities has its own set of challenges. If you’re a B2B company, you have to build the prospect database, research your potential customers, qualify leads, demo your product, set up the marketing automation funnels and others. If you’re B2C, you will likely rely on marketing for a lot of your customer acquisition, but you will still need to scale many of the back-end tasks required to run your operations. Especially if your solution involves intelligent software and machine learning, you will need to do things like image recognition, image annotation, tagging and other data science support tasks. Even with automation, all these activities take up a lot of time, and they become a bottleneck to ramping up. Infolink-exp removes those bottleneck, and provides a relief valve to your sales, marketing and back-end operations. Now, we’re not a lead generation firm. There are hundreds of those kinds of companies, and frankly we believe it’s better that you do your own sales and marketing. But we can provide help withall the time-consuming – yet uber important – sales and marketing support detail work that you need to execute a flawless marketing and sales strategy. We do all the prep work you need, so you don’t have to worry about whether you have 30 minutes to do the demo, or whether you’ve done the research on your next prospect. We’re talking about all the moving parts, the tactical stuff, that comes with customer acquisition, and also with ramping up your back-end operations. Aramis AlvarezVice President of Motive Inc.
BitaProject Manager, IoT startup, Palo Alto, CA. I would definitely recommend Infolink-exp for any team especially a growing team. They’re one of the best teams I’ve worked with as far as their ability to star small and grow to a rather large team. We are uniquely equipped to handle sales and marketing support and back-office tasks for your team because we know fast-growth, venture funded firms have to stay lean and mean. It’s all hands on deck, and when you’re wearing many hats you need a helping hand. We understand that because we have years of experience working with technology startups and fast-growth technology firms. We have perfected the art of becoming an extension of your team. We interact with your people…and we literally become your people! Hell, we’re a startup ourselves – we know what it’s like out there! We’ve adopted the kind of culture and expertise to seamlessly become part of your team and handle the essential tasks that can become a bottleneck to growth, but are nonetheless essential for your company’s growth. So if you need help with marketing support, sales prep, lead research, sales qualification, human intelligence task automation, and others, let Infolink help you. You get to focus on the higher-order strategic activities that’ll take your company to the next stage, knowing the equally important but time-consuming details that are part of the customer acquisition process are in the most capable hands possible. As part of the IoT revolution, you know you need to grow fast, and grow sustainably. To achieve that kind of growth you need rapid customer acquisition…and have a fanatical focus on customer retention. It’s a balancing act you need to master while wearing many hats. Because let’s face it, if you’re like most technology companies, you’re probably running a lean team – with the founder(s) and initial employees fulfilling many roles at once. And if engineering, innovation and product development weren’t enough, you also need to ramp-up operations, and execute your marketing strategy. 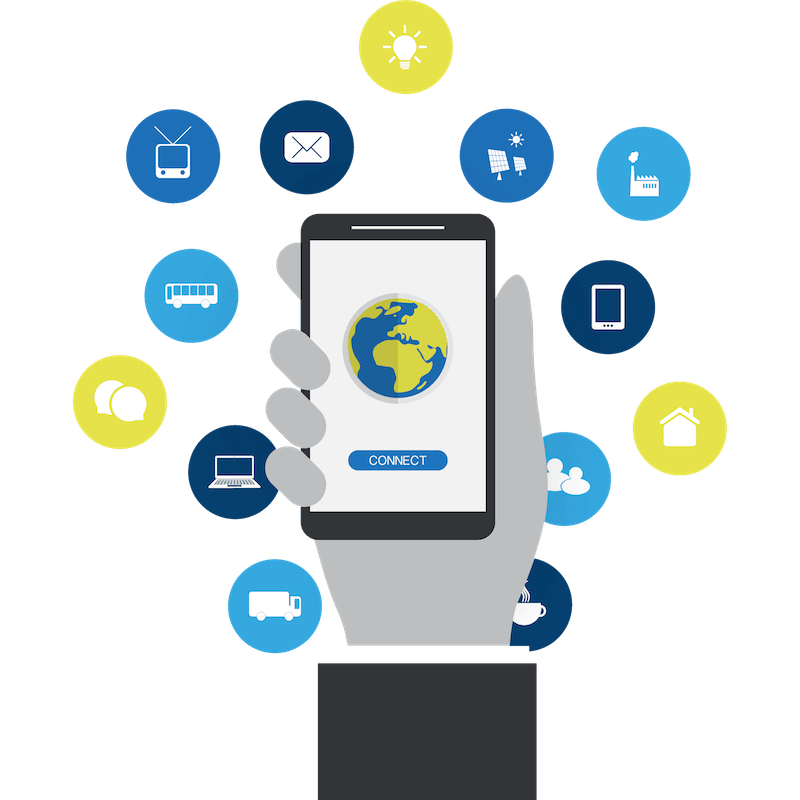 Understanding the needs of the IoT and Technology companies, we are well aware of the increased number of time and resources that go into supporting your company’s business growth. That’s why Infolink developed Business Growth Solutions for the IoT Revolution. A set of support solutions that solves your growth bottlenecks: the time-consuming, but very important activities needed to take your company to the next level.